These unique vases are intricately constructed from hundreds of pieces of cut glass, and can be lit from within to dazzle any room. 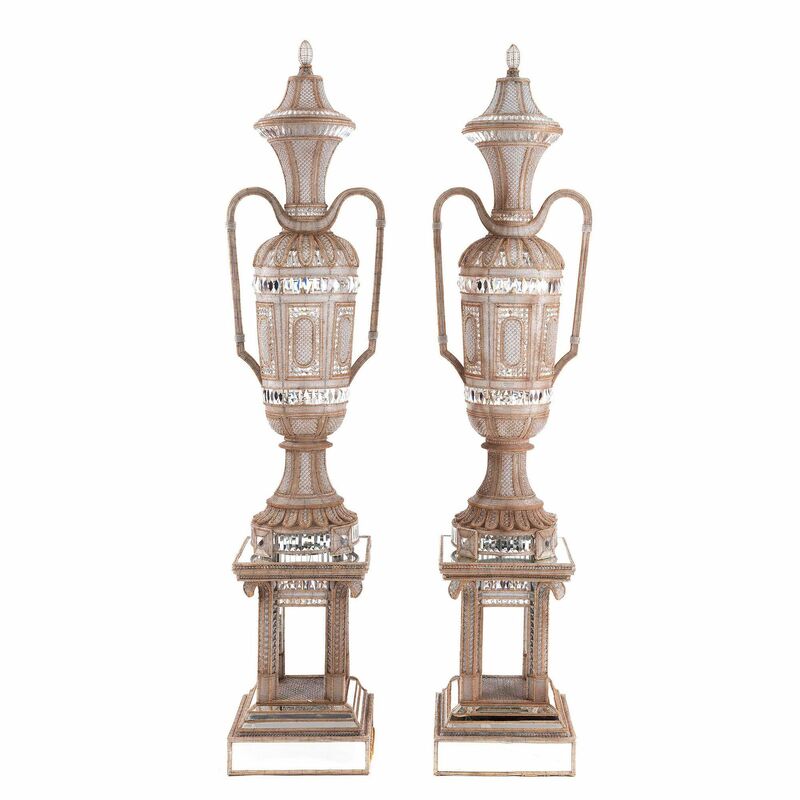 The monumental oblong vases are richly decorated with fine glass pearls and prisms, and raised on square stepped stands with mirrored panels on each of the four sides. Each vase has long, slender twin handles and they are mounted with covers terminating in round finials. They are electrified with internal lighting, and therefore can be used as lamps.